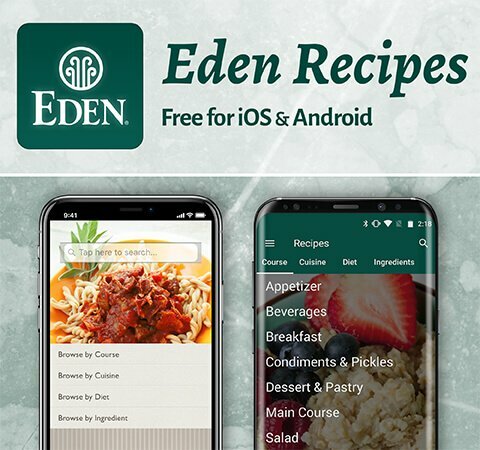 Eden Organic Rice & Pinto Beans are made with the finest certified organic ingredientsin grown in nutrient rich vital soil, on U.S.A. family farms by those committed to cleansing the environment and growing the most nutritious, safe food. The only cooked and canned organic pinto beans and organic short grain brown rice in this hemisphere. At Eden's certified organic kosher cannery, organic pinto beans are soaked overnight and blanched. The beans are combined with organic short grain brown rice, organic onion, organic garlic, and a bit of mineral rich Eden Sea Salt, then expertly cooked with purified water. 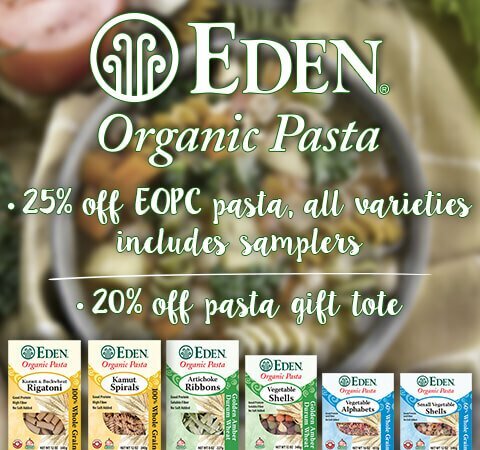 Eden Organic Rice & Beans are packed in steel cans coated with a baked on oleoresinous c-enamel that does not contain the endocrine disrupter chemical, bisphenol-A (BPA). Oleoresin is a natural mixture of an oil and a resin extracted from various plants, such as pine or balsam fir. These cans cost 14% more than the industry standard cans that do contain BPA. 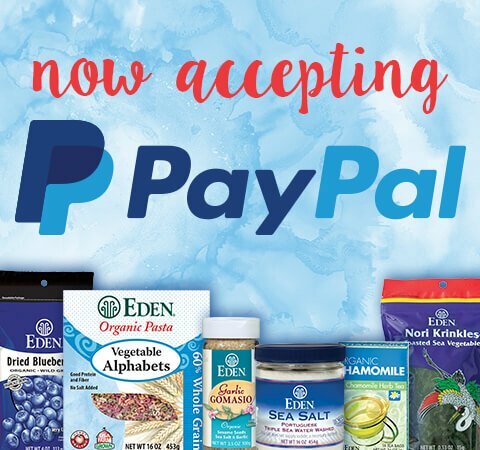 The can maker, Ball Corporation, tells us that Eden is the only U.S. food maker to date to use these BPA free cans and we have been since April 1999. According to the FDA, "Diets rich in whole grain foods and other plant foods and low in total fat, saturated fat, and cholesterol may reduce the risk of heart disease and some cancers," "Low fat diets rich in fiber-containing grain products, fruits, and vegetables may reduce the risk of some types of cancer, a disease associated with many factors," and "Diets low in sodium may reduce the risk of high blood pressure, a disease associated with many factors." 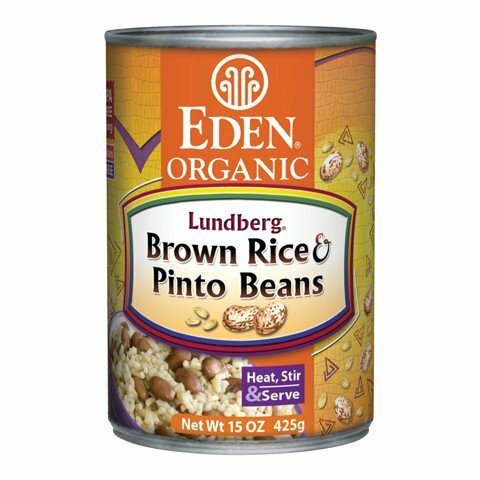 Eden Rice & Pinto Beans are low fat, saturated fat free, cholesterol free, a good source of dietary fiber and low in sodium. They are also a good source of phosphorus, magnesium, and zinc.